Austin is home to the largest urban bat population in North America during the summer months. Locals and tourists alike gather around the Congress Ave. Bridge at sunset to watch 1.5 million Mexican free-tailed bats swirl out from their resting place to find their dinner of insects for the night. Watch from the bridge, or find a spot at the grassy hill of the Statesman Bat Observation Center. There is no better way to celebrate the red, white, and blue than in Texas’ capital city. Grab a bite to-go and park yourself on one of the bridges downtown to watch sparks fly over the Austin skyline, or chill out with the Austin Symphony at the Long Center for the Performing Arts for a concert and a fireworks show! In need of an adrenaline rush and a beautiful view? Lake Travis Zipline Adventures offers five pulse pounding ziplines (one being the longest in Texas) to take you on an exciting outdoor adventure! 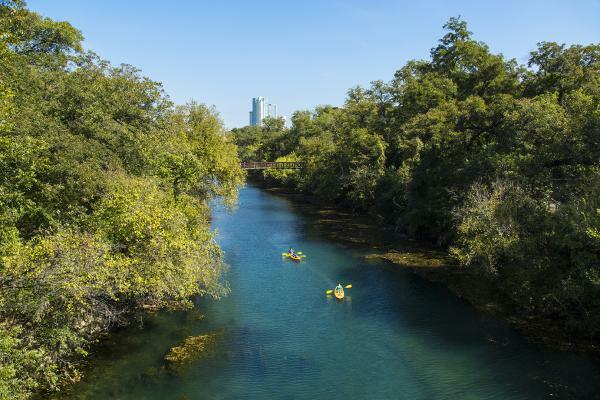 Take advantage of the many places to paddleboard, kayak, and canoe around the city. Whether you go on a guided tour or decide to maneuver on your own, this activity is fun and relaxing, but you will feel a little more toned after rowing around for a while! Check out The Rowing Dock for easy access to time on the Colorado River. Parking there is easy, too with a lot and street side spots. 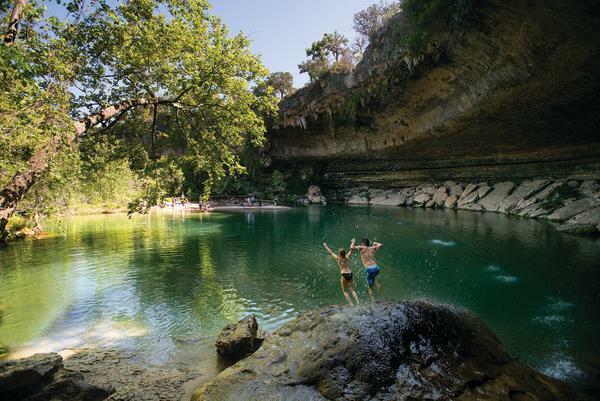 Locals know that the best places to cool off are the many gorgeous swimming holes around town. Fed from underground springs, 3 acres in size, and 68-70 degrees year round this spot is great for a refreshing dip. Hamilton Creek spills over Texas limestone to create a 50 foot waterfall right into the box canyon. Reservations are required during peak summer months. The oldest pool in the state offers lap swimming, wading and even shows pool-side movies in the summer. Hike to one of the hidden gems inside the Greenbelt. Twin Falls and its “big brother” Sculpture Falls are perfect spots to spread out and soak up the sun. The city is decorated with art on walls, sidewalks and bridges. 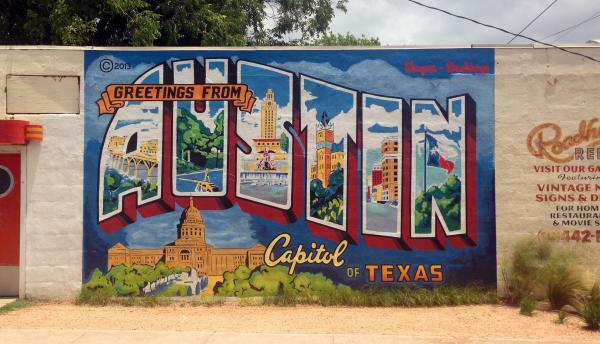 Take time to snap a pic of some of the murals that illustrate the Austinite culture. Willie for President at 1423 S. Congress Ave.
Mr. Rogers at 1415 S. Congress Ave.
Before I Die… at 206 E. Elizabeth St.
Austin City Limits Radio hosts this monthly concert series during the summer. Music lovers are invited to Zilker Park to enjoy an evening of homegrown talent for free! This event has been a fan favorite for almost 60 years. The musical of the year runs from July into early August and is free to the public. Bring friends, kiddos (even your furry ones) and a blanket/chairs to watch the incredible show at sunset. 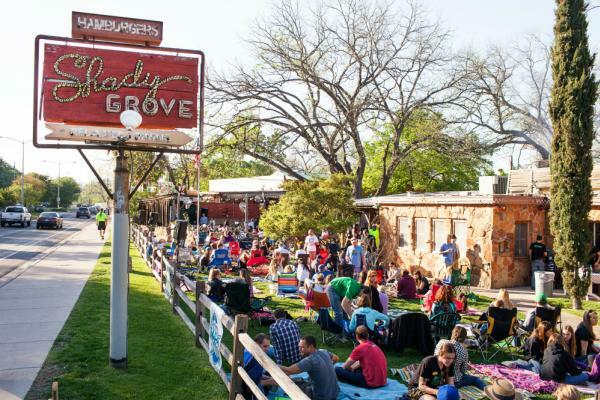 Every Thursday night for 24 weeks, Shady Grove and Austin City Limits Radio team up to host this locally loved event. Most of the featured musicians are from Austin, so it is an awesome way to listen to some of the best local artists. It’s free to the public; seats and spots for blankets fill up quick, so get there early and enjoy a margarita while you wait for the show to start. Explore all the summer activities Austin has going on this year by checking out the Events Calendar. Jenna is one of the Convention Sales Coordinators for Visit Austin. She interned with Visit Austin while studying at Hardin Simmons University and quickly fell in love with Austin’s vibrant culture and laid-back lifestyle. In her free time, Jenna enjoys eating her way through Austin or walking the Ann and Roy Butler Hike-and-Bike Trail, testing her cooking skills with new recipes and talking to her mom on the phone. Connect with Jenna on Instagram or Linkedin!